Jefferson Williams is a Geologist, Geophysicist, and Engineer who is a specialist in the acoustic properties of sediments. He possesses Bachelor degrees in Geology and Mechanical Engineering as well as Master’s Degrees in Electrical and Civil Engineering. He started his career as a Field Seismologist and later branched into Borehole Geophysics. 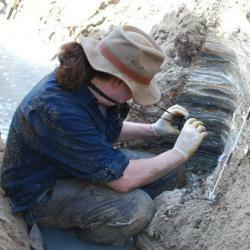 Since 1998, he has been conducting independent research in the Dead Sea on Historical Earthquakes and Geomythology. He is a member of SEG, SAG-AFTRA, and SPWLA.